Some guys enjoy turkey call history and trivia. They follow the custom call circuit. They make their own wingbone yelpers. They display calls under glass. That's not me. I love to turkey hunt, and I love to call turkeys. But outside of my first-ever call, a paddle box that I do still carry and use, I've never been sentimental about my turkey calls. They’re tools, and if a few of them will provide me with all the calling versatility I need without filling up a ton of space, great. That’s why I run mouth calls almost exclusively. Though I own a bulky vest filled to the seams with gear, given a choice, I prefer dropping a handful of shells, three mouth calls, a water bottle and a ThermaCell into a small fanny pack and taking off for the day. And of those three calls, I usually settle on a favorite for the season, run it until the reeds break, and then throw it away. I'm not a contest caller. I'm prone to squeaks and squawks on occasion. But the turkeys don't care. Learning to confidently run a mouth call did more for my calling success than anything else. Mouth calls offer a wide range of sounds and volume, with hands-free operation. That’s a huge advantage, not only when a gobbler you can see is closing the final steps into gun range, but also when you’re sitting against a tree blind-calling. Some birds will slip in silently. And sooner or later, one of those silent birds will catch you fumbling with that friction call and disappear before you ever know he's around. Of course, once you find a mouth call you like, it helps to know what it is before you throw it away so that you can buy another one like it the next season. It’s not as simple as recognizing a name brand, either. The reeds of various mouth calls are cut in different ways to create different sounds – and it’s amazing how a seemingly subtle difference in cut can create a drastically different sound. More reeds and more cuts typically mean more rasp and volume, ideal for calling on windy days and for making aggressive cutts and cackles. On the flip side, fewer reeds and more subtle cuts mean less vibration and softer tones ideal for tree-yelping and close-in work. Every call-maker has its own signature reed cuts, and sounds can vary dramatically depending not only on reed cut, but also on reed and frame material. But in general, these mouth calls cover the spectrum of what’s available on the shelf. The Double Cut, like a Zink Z-Yelper, is perhaps the most subtle cut of them all. Perfect for soft tree yelps and the kee-kee runs of young birds, this call is ideal for use in the fall. It’s also a great learning call, since it tends to be easy to blow. The W-Cut, like a Will Primos-1, is a good all-purpose yelper. It’ll produce more rasp than a double-cut, but is often easier to blow than more aggressive cuts. The Bat-Wing cut, like a Knight and Hale Warlock, is another favorite all-purpose call. This cut typically produces more rasp than a W-cut, but also requires more air and can be a bit more difficult to control. The split-v, like a Hunter Specialties E-Z Cutter V, may be the most popular overall cut with today’s turkey hunters. 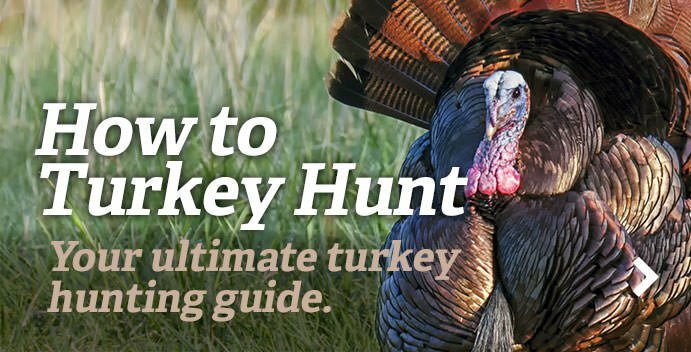 Easy to blow with moderate rasp and volume, a split-v allows you “bend” on that turkey from a distance and to tone it down when he gets close. Usually the loudest and raspiest cut available, the cutter is a favorite of aggressive turkey callers – me included. Available from virtually all the major call-makers, cutters are the most difficult call to control, but are worth the learning curve. Check out the Total Knock Out from David Halloran Turkey Calls. Another fall-hunter’s favorite, a double-reed ghost cut is similar in tone to a split double. It’s ideal for soft yelps and kee-kees, but it’s capable of a bit more rasp and volume than a double-cut, making it a more versatile all-around call for the spring woods. Check out the Primos 2-Hooks. Editor's note: This article was first published March 26, 2013.